(IFFR) is an annual film festival held in various cinemas in Rotterdam, Netherlands at the end of January. Since its founding in 1972, it has become one of the most important events in the film world, maintaining its focus on independent and experimental filmmaking by emerging talents and established auteurs. The festival also has a unique focus on presenting cutting edge media art and artist's film, with most of the participants in the short film program identified as artists or experimental filmmakers. IFFR also hosts CineMart, for film producers to seek funding. The International Film Festival Rotterdam management emphasizes diversity in its film programming and on building relationships with and between filmmakers and audiences. Rather than red-carpet events, the festival's design is to encourage film makers to mingle with attendees. As a result, the festival claims having "a unique atmosphere" and a "fiercely loyal following" locally and internationally - around 90% of tickets are sold to regular supporters. 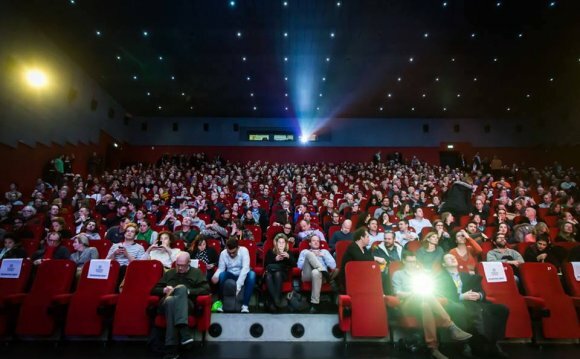 The festival is described as having "a serious commitment to film lovers and film making - screenings are shown without 'popcorn breaks', trailers or other commercials. This sense of purpose plays a crucial role in attracting the best directors to the event, allowing it to forge a reputation for diversity, discovery and innovation." The first festival — then called 'Film International' — was organized in June 1972 under the leadership of Huub Bals. IFFR's logo is a tiger, loosely based on the M.G.M. lion. From the beginning, the festival has profiled itself as a promoter of alternative, innovative and non-commercial films, with an emphasis on the Far East and developing countries. Around 1983, the festival founded CineMart to serve as a "regular film market, " and later modified the business model to serve instead as a "co-production market", which helps a selected number of film producers connect with possible co-producers and funders for their film projects. The non-competitive character of the festival changed in 1995, when the were introduced—three yearly prizes for young filmmakers making their first or second film. The next year, Simon Field, formerly Cinema Director at the London Institute of Contemporary Arts, became director of the festival. In 2004 Sandra den Hamer took over as director of the festival, and from 2007 to 2015 the director was Ruger Wolfson. Since August 2015 the leadership is in the hands of film producer Bero Beyer. Despite financial difficulties in the mid-1980s, the festival has grown steadily, reaching more than 300, 000 visitors in 2015. The Pathé cinema at Schouwburgplein is one of the biggest cinemas in the country and boasts the largest screen in the Netherlands. The modern edifice – located between the Schouwburg and De Doelen – is dramatically lit by night, dominating the square. Cinerama is a magnificent old cinema with 7 theaters and more than 1000 seats. You can wait for your film at the well-stocked reading table or enjoy a nice drink in the comfortable lounge. The Old Luxor Theater dates back to 1917 and is a “Grand Dame” amongst Rotterdam theaters. It has been thoroughly renovated multiple times, but retains an atmosphere that lends a special touch to the cinematic experience. The Rotterdamse Schouwburg is located in the heart of Rotterdam, on the famous Schouwburgplein. It is one of the main performing arts centers of the city, offering a wide range of critically acclaimed dance, opera and theatrical performances. Lantaren Venster is the only screening location at the other side of the Maas river, making it the most remote of all screening locations. Like Pathé and Cinerama, it has 7 theaters. Lantaren Venster is used as a performance arts location and well known for their non-mainstream and art house programming of movies. The Tiger Award has had various sponsors over the years. In the years leading up to and including 2010 it was sponsored by the VPRO. In 2011 the award was presented by the Prins Bernhard Cultuurfonds and since 2012 by Hivos.